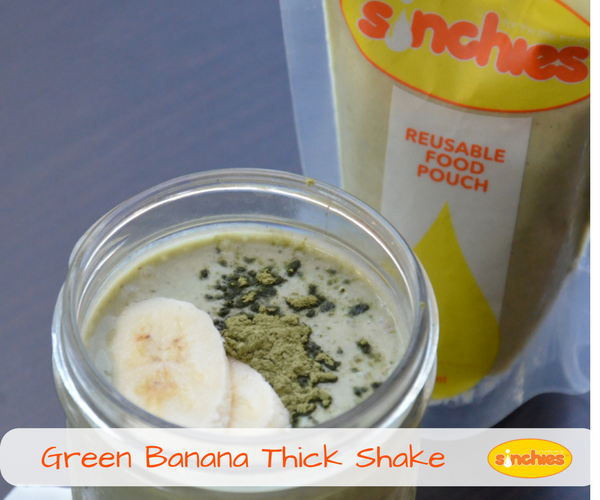 This Green Banana Thick shake recipe has been given to us by the lovely Shell from "The Clean Lunchbox". The Clean Lunchbox is a great place to find amazing recipes for your weeks of lunchbox making - featuring autoimmune, paleo, vegan, dehydrating and fermenting recipes - 87 in total! Place all ingredients into a blender and blend on high until smooth then place into a 1 Litre Sinchies Reusable Food Puches.